The film isn't 100% finished just yet. We're still making adjustments to our sound mix and color. But we're super close! We decided to take a trip over the weekend to visit our titular donkey Cinnamon, her mom Susie, and all our other donkey & human friends at Donkey Park. 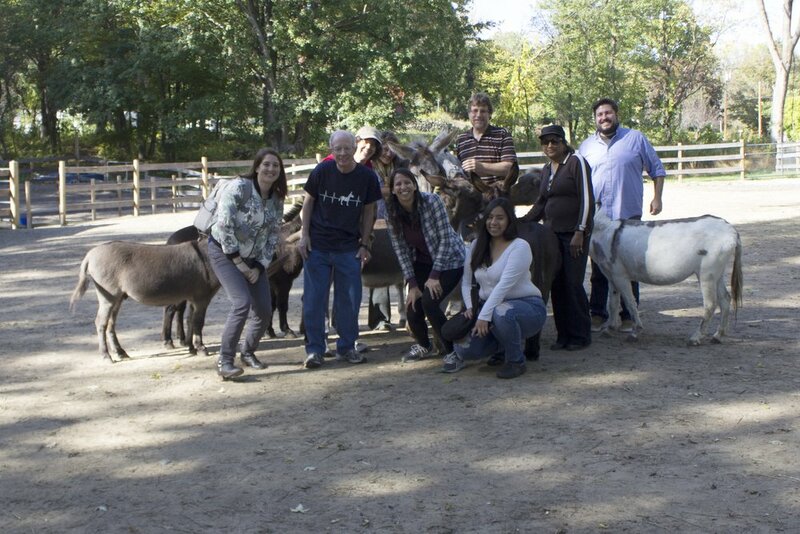 We got to share the cut of the film with the human Donkey Park board members, as well as with the stars of the film. See the video below! Big thanks to everyone pictured in the above photo who rescued Cinnamon & Susie and made their involvement with our film possible. The Donkey Park team all really enjoyed the film. We're so glad we got to share it with them, and we hope to have more screenings in their area next year!